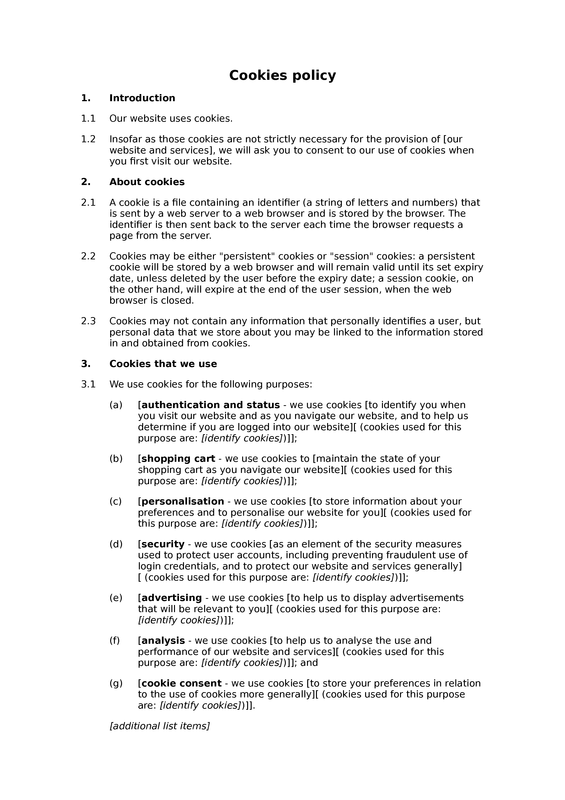 This policy can be used to help you comply with the information disclosure requirements in that legislation relating to cookies. 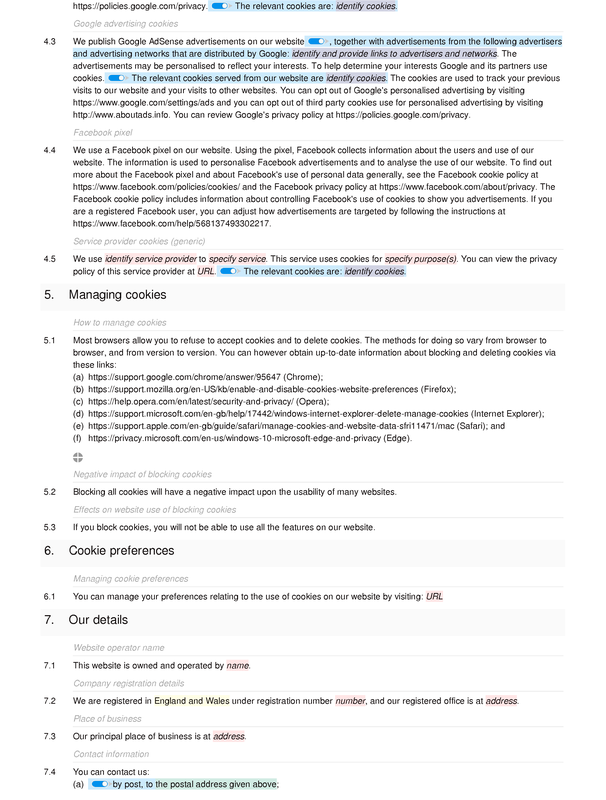 To use this template you will need to know something about the cookies employed on the website. 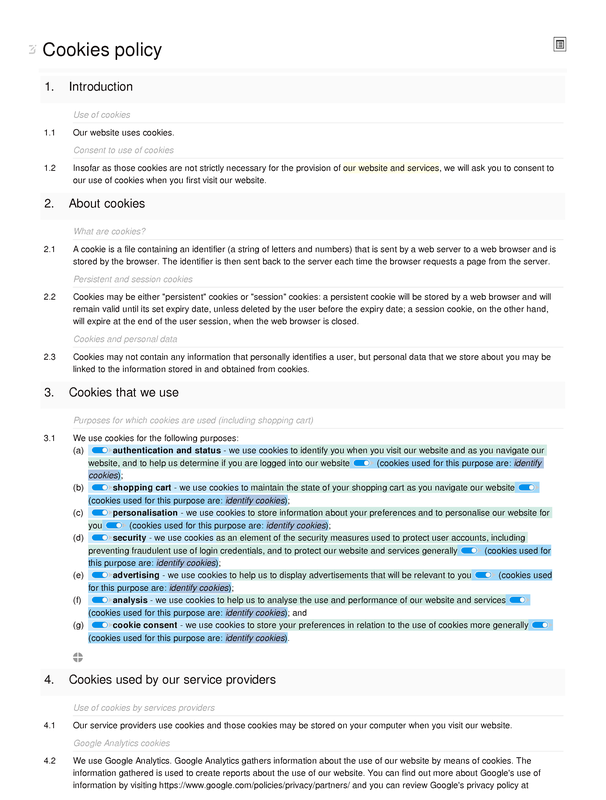 Specifically, you may need to know the name/ID of each cookie, and the purpose for which each cookie is used.